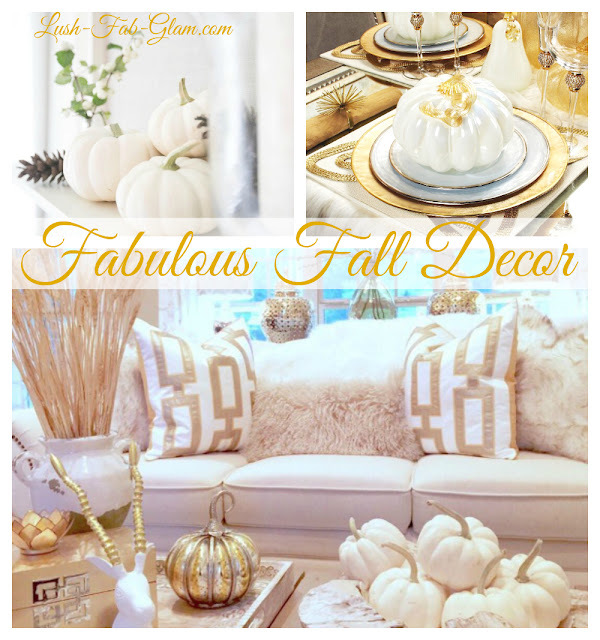 Lush Fab Glam Inspired Lifestyle For The Modern Woman: Decorating For Fall With Beautiful Pumpkins. Decorating For Fall With Beautiful Pumpkins. 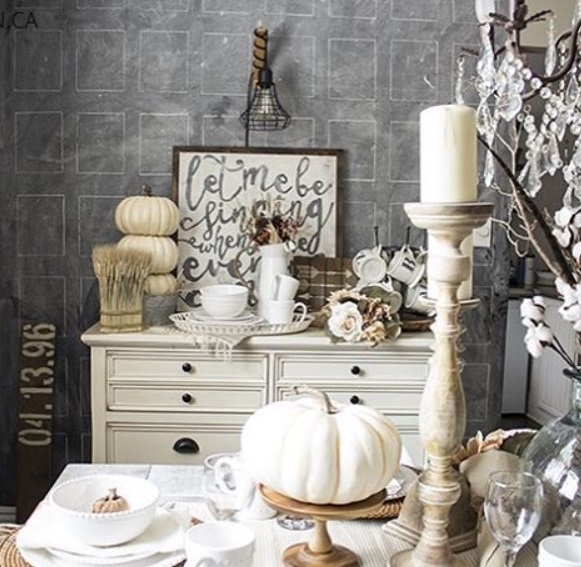 We are well into fall and absolutely cannot resist all the beautiful home decor ideas that we discovered on the Instagram accounts of some of the best interior designers, home decor and home furnishing stores as well as our own elegant fall decor. Read on to see them all and for inspiration to make your home fall fabulous. Hint: You will need gorgeous white pumpkins or need to paint your orange pumpkins white. Not a D.I.Y enthusiast? 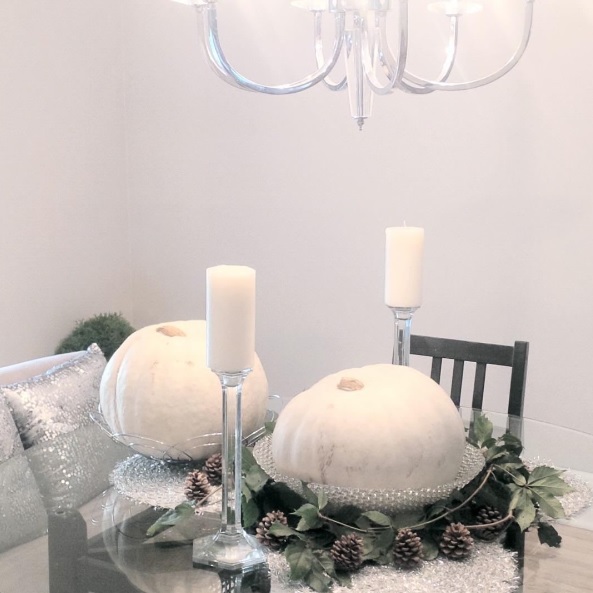 That's OK take a quick trip to your favorite home decor retailer or crafts store, they are sure to have some fabulous glass, velvet and other faux pumpkins that you can use. 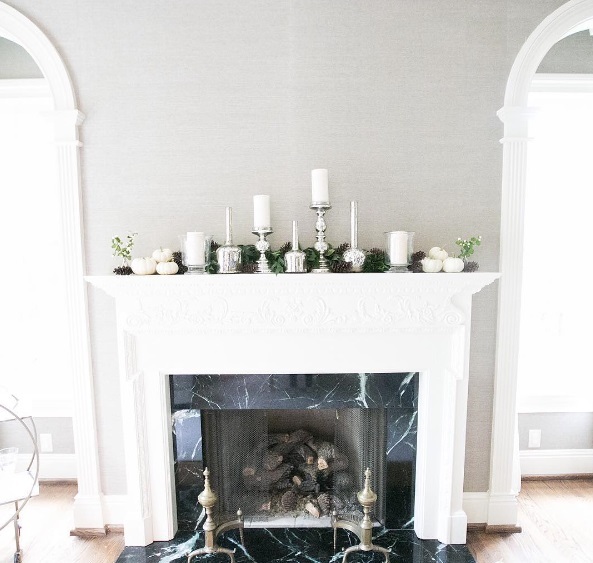 Fireplace mantle decorated with white pumpkins. 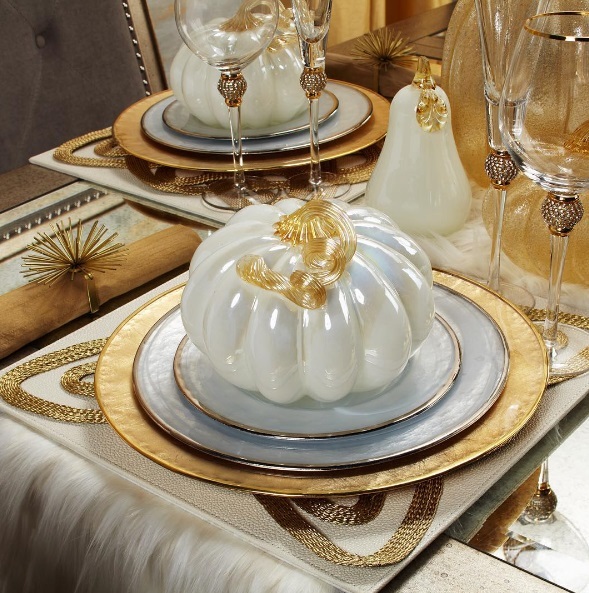 Create a glamorous tablescape to celebrate the fall season and Thanksgiving like we did with beautiful white pumpkins embellished with pearls, crystals and silver-glitter. Fab D.I.Y Tip: You can easily decorate these pumpkins and make it a fun activity for the kids for under $10 and a quick trip to your local crafts or dollar store for supplies that include white and silver crafts paint, silver glitter dust, clear all-purpose glue and flat sided pearl and crystal beads. Dining room buffet server decorated with white pumpkins in various sizes. 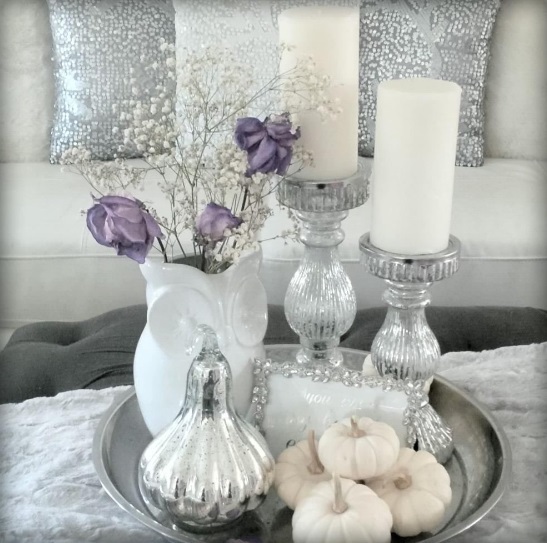 Our coffee table decorated with silver glass pumpkins and mini white pumpkins. Fireplace mantle decorated with acorns, candles and mini white pumpkins. 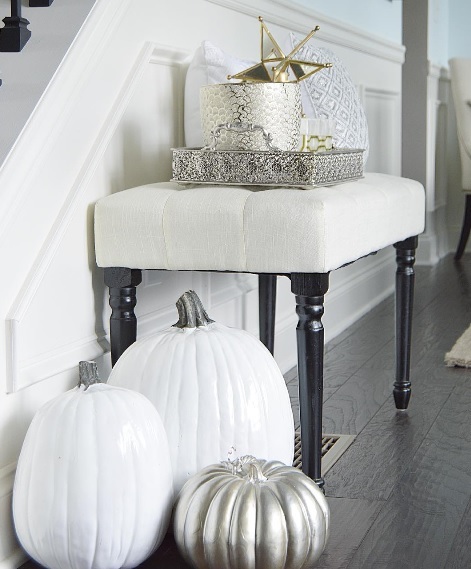 Dress up your entryway, hallway or a cozy nook in your home by arranging your pumpkins on the floor. 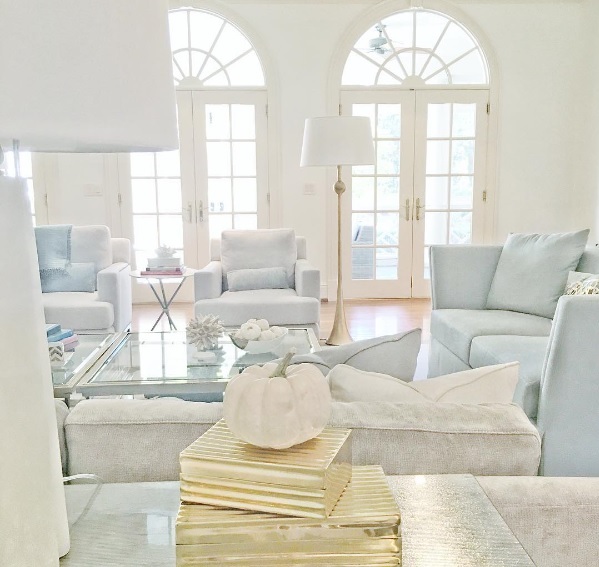 Add white pumpkins to your living room decor by placing them on your console or coffee table. 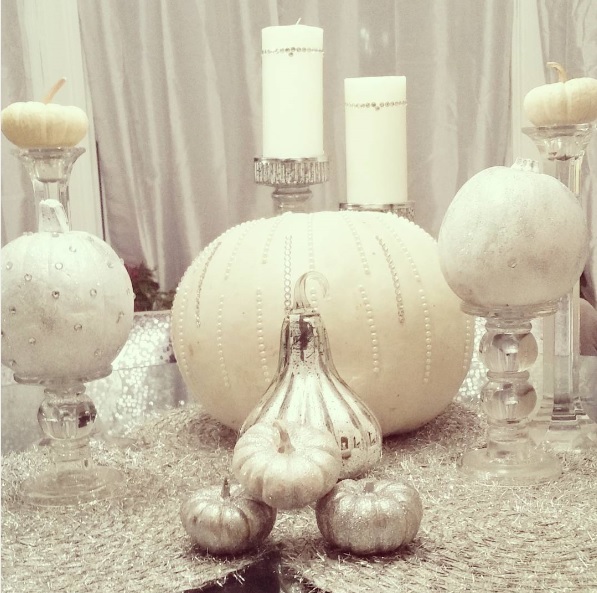 Dine in style like we do by decorating with plants, large white pumpkins, and acorns as your table top decor. It's a refreshing and season appropriate change from the customary flower bouquet. 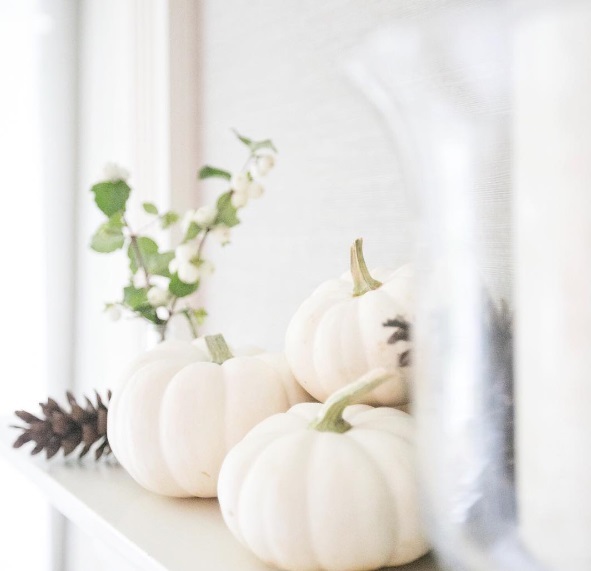 White plastic pumpkins like these ones can also add autumn beauty to your home and they last longer too. 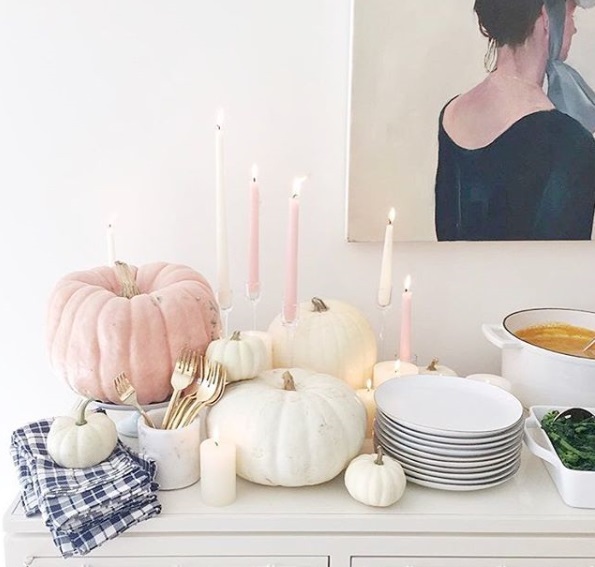 Use glass pumpkins as place holders at your dinner table. 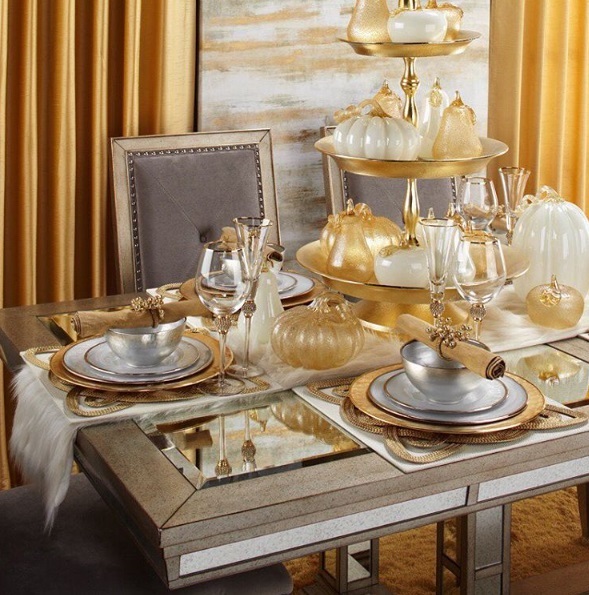 Create a stylish table top arrangement by layering glass pumpkins in a cake or appetizers tier. Make a grand statement by adding glass pumpkins in assorted shapes, sizes and colors to your fireplace mantle. They will add warm touch to your fall decor. Photos via Instagram accounts: lushfabglam, blountdesigns, zgallerie, fashionablehostess, kelleynan and akadesigndotca. Which featured fall decor with pumpkins is your favorite? Share with us by leaving a comment below. Your product, service, brand, website, event or article can be featured in an exclusive post like this one. Click here for details. 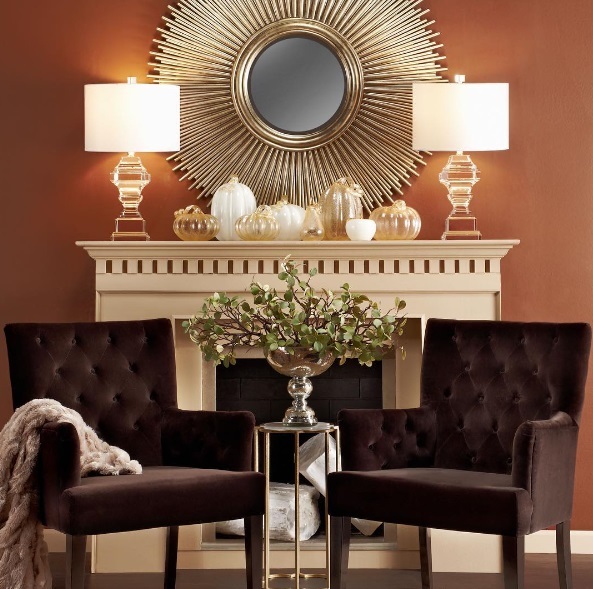 Chocolate armchair, ivory fireplace, a mirror, the sun! Bravo designer!